Margaret's Grocery is in dire need of a new roof. And we need your help raising the funds. This is the next phase of our restoration process. Picture the difference if we all donated just $10 dollars we could save this iconic outdoor folk art environment and keep it where it is in the Kings Community in Vicksburg Mississippi. It’s all about the promise Reverend H.D. Dennis made Margaret and their love. Preacher asked Margaret to marry him and promised her if she did, he would build her a castle. He kept his promise. I met the Rev Dennis and Miss Margaret in 2001 and fell in love with them and their castle. Over the next decade I visited them regularly and they shared their wisdom with me. Their simple messages of God has no white church, he ain't got no black church-He got one church- And ALL are Welcome, and Treat Everyone Equally and with Love, are still relevant today and need to be shared with the world. I promised Miss Margaret on her death bed I would look after Preacher, and I promised Rev HD Dennis before he passed away I would look after his palace and church bus. I am keeping my promise today I am the executive Director of the Mississippi Folk Art Foundation and we are dedicated to preserving this outdoor folk art environment. Picture the difference if we all donated just $10 dollars we could save this Mississippi Treasure and keep it where it is in the Kings Community. Although the site is no longer open as a store and they have both since passed away, the Grocery still attracts visitors from around the world to experience Reverend Dennis' creation. The site, described as a "theological park" by vernacular art scholar Stephen Young, is crowded with signs, gates, towers, and other items created by Dennis. The Reverend was constantly making changes and modifications to the site, adding new signs, repainting items with new designs, and adding more details to existing structures. Since his passing the place is in decline and in dire need of restoration and preservation. We are a registered 501c3 and all donations may be tax deductible. The funds we raise will help in a multitude of ways. From purchasing the land for this folk art creation to purchasing paint and brushes. We intend to keep everything where it is- but that will require a large sum of money and a few miracles. Our plan is evolving and we our working on an educational program for the local community to help tell the narrative and the oral history of Miss Margaret and Rev Dennnis and others who knew them. 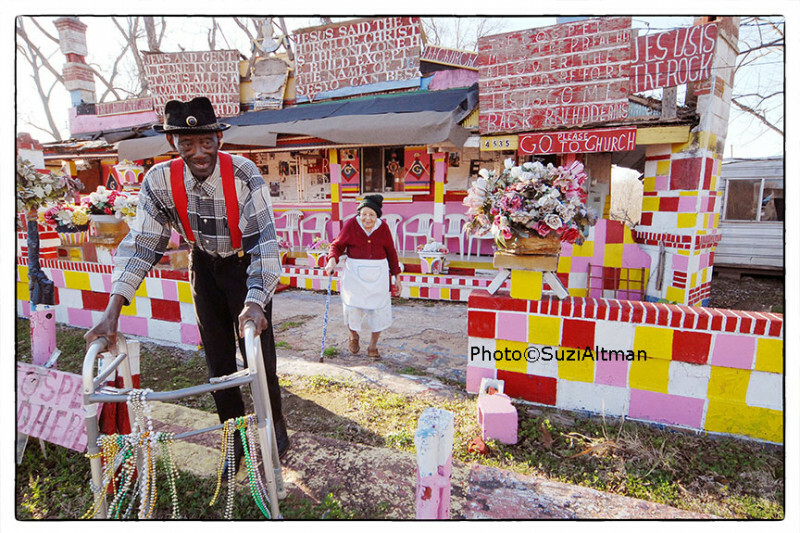 I hope with your help we can save this Mississippi Treasure and restore this folk art icon to its original glory. Although the site is no longer open as a store and they have both since passed away, the Grocery still attracts visitors from around the world to experience Reverend Dennis' creation. The site, described as a "theological park" by vernacular art scholar Stephen Young, is crowded with signs, gates, towers, and other items created by Dennis. The Reverend was constantly making changes and modifications to the site, adding new signs, repainting items with new designs, and adding more details to existing structures. Since his passing the place is in decline and in dire need of restoration and preservation. Thats where you can help...by donating now. In addition to the masonic art work and religious signs, there is an old school bus that has been lovingly converted into a church. Dennis took out the steering wheel and repalced it with a pulpit and covered the seats to look like pews. 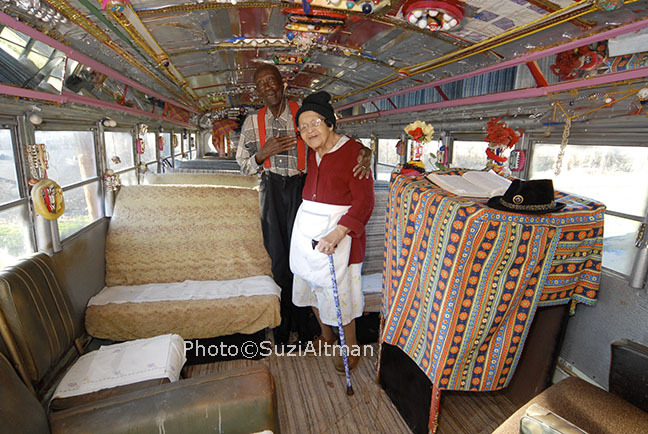 ￼￼￼Dennis has used beads, Christmas lights, artificial flowers, and other inexpensive items to create a unique worship space inside the grocery and on the bus. There creation and the messages they shared are still relavant today and need to be preserved and shared with future generations. The dream is BIG and and with your help we will make it a reality. Preserving, protecting, and sharing this iconic Mississippi treasure with the world, while giving future generations the opportunity to learn from Rev. HD Dennis and Miss Margaret and their simple messages of One Love, One God, Unity and Acceptance. Any and all donations help. Thank you for your contibution and support. Good morning Facebook friends. Today the Mississippi Folk Art Foundation is challenging all our friends to donate $10 to our Gofundme campaign to Save Margaret's Grocery. https://www.gofundme.com/savemargaretsgrocery If we all donated just $10 we would exceed our goal. Together we can make a difference and Save this Mississippi treasure. Thank you for your support. Any and all donations help. Today is weed whacking day for this caretaker of Margaret’s Grocery. I love to see the progress we are making! I know it doesn’t look like there has been progress made BUT trust me there has been Lots! We have catalogued all the artifacts, had preservationists visit and help, we have saved all the interior ephemera and many of the outdoor signs as well. And it’s all in climate controlled storage!!! In addition to all the site work, the roof doesn’t leak and the yard is maintained. Oh and the Bus is in pristine condition and being stored and protected off site. To continue this work we need your support. Please consider a small donation to our non profit the Mississippi Folk Art Foundation. Thank you and stayed tuned for updates !! Check out the interview by Jade Bulecza from WJTV Jackson MS on Margaret's Grocery. Thank you Jade- for this amazing story. Raise The Roof Fundraiser. Margarets Grocery. is in dire need of a new roof. Please help us raise the funds. This is he next step in our preservation process. Picture the difference f we all donated just $10 dollars we could save this art environment and get a new roof.